A long overdue spring update! Boy, turn your head for one second and it’s spring! You may have noticed that there hasn’t been an update too recently on the website, and that’s mainly for one reason: I (Kevin), who mostly writes these blog posts, have been finishing up my Ph.D. degree in the Ecology, Evolution, and Conservation Biology program at the University of Nevada here in Reno. I recently successfully defended my dissertation on April 23, and will be finished “officially” on May 9. It has been a long time in the making, and I am delighted to have finally accomplished what I set out for when I moved to Reno 6 1/2 short years ago. Anyways, that’s a long way of saying I’ve been very busy lately, and have been doing a pretty sizable portion of writing, so the posts had to wait a bit! But now that the bulk of the work is done, Cynthia and I are both excited to continue our preparation for another exciting summer with Nevada Bugs. 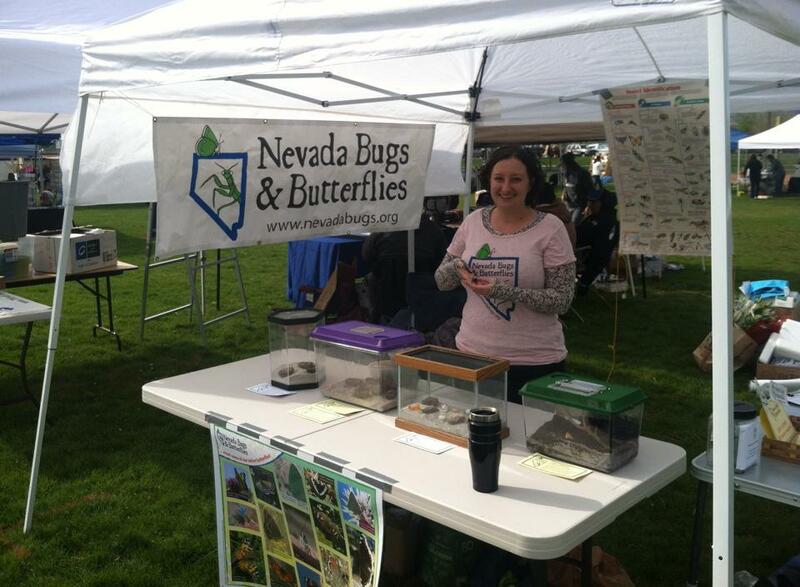 We had a great time at the Reno Earth Day event in Idlewild Park on April 27th. We got to meet so many new kids and parents from around Reno, and we even got to hang out next to our good friends at the Tahoe Institute for Natural Science! We also held a workshop event where we made insect origami and native bee houses, complete with coloring sheets. This was our first year out there and we had an absolute blast! Also, in case you’ve been wondering, while the butterflies are overwintering, the butterfly house is still in use, just mostly by plants! 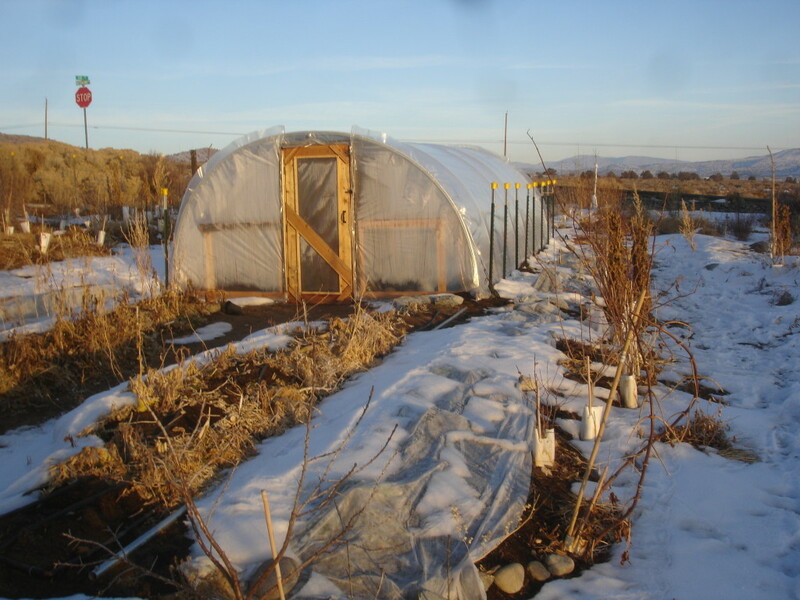 Neil Bertrando continues to grow delicious veggies in the house throughout the winter, making use of the space even when the butterflies aren’t flying. 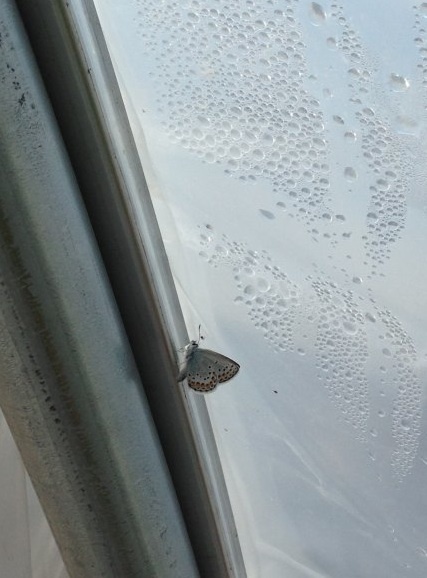 However, with the plastic over the house warming the inside even in mind weather, he has spotted a few early risers, including this Melissa blue, emerging after spending the winter on one of the perennial plants in the house as a larva. How cool! We’ll have more info coming very soon about some of our upcoming events, including some possible work days for volunteers, as well as some fun public events that are currently in the works with both UNR and the Discovery Museum. Stay tuned! 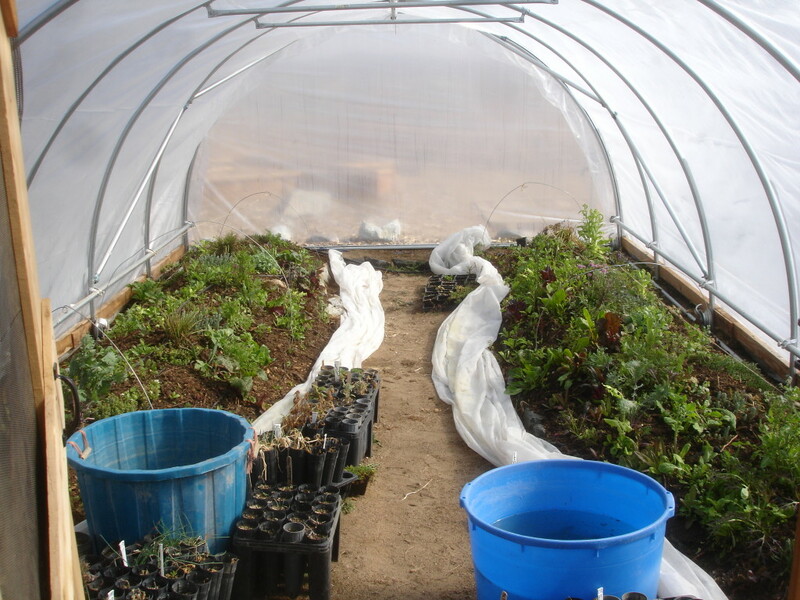 From 3:30-4:30 we’ll have kids activities like a seedling planting and live insects and other animals to handle. Come learn about insect diversity in our area, learn about how plants and animals interact, and get a seedling that’s good for food and makes a pollinator plant! From 4:30-7:00 we’ll have a home-brew tasting with 5 different types of beer all made by UNR students and alumni! We’ll also feature a silent auction with handmade items made by local artisans and businesses. Come enjoy a spring afternoon with handcrafted beer and a bit of food, see some insects, and learn more about our project! Be sure to share our flier with your friends! 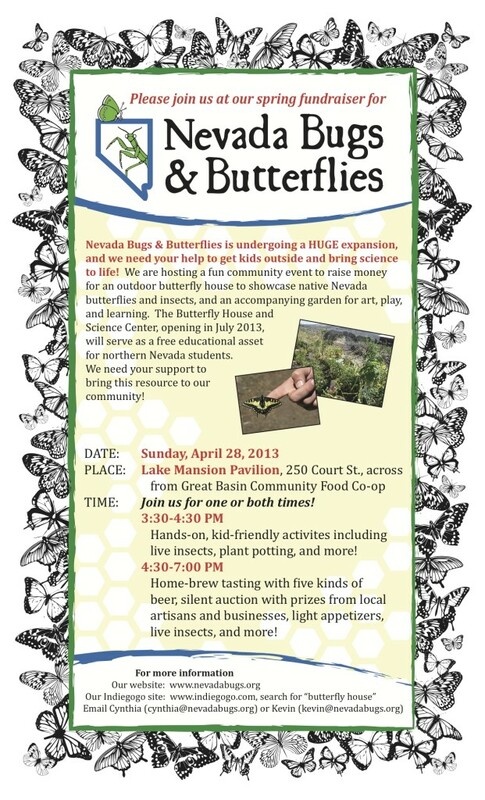 Welcome to Nevadabugs.org, home of Nevada Bugs and Butterflies, a Reno, NV nonprofit dedicated to hands-on experiences with science and living things to cultivate love of the natural world and local environmental responsibility. Look back for more posts about upcoming fundraising events, work days, and invertebrate diversity!